I think this is the proper space to post this topic. This is a small effort on my part to save a film whose fate remains a mystery. 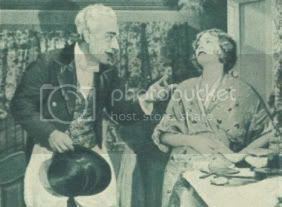 This picture by Henry King was a Samuel Goldwyn production with Ronald Colman & Vilma Banky. 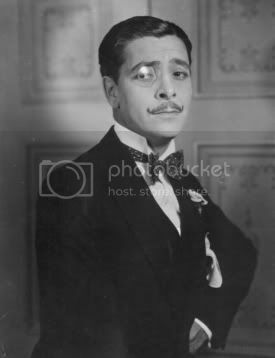 For the first time in his career, Colman played a double role: he was a circus clown as well as a murderous crown prince. The film's cinematography (by George Barnes) was nominated for an Oscar. A friend, very kindly, provided me with a French novelization of the film. I translated already about one third. This novelization is very typical of the 20s magazine; I didn't try to alter the style at all. I think it's part of its charm. I hope you'll enjoy this novelization which gives the flavour of this picture. I will post one chapter every other day. Enjoy! We were three in the car. I was on the back seat beside the beautiful Bianca Formosa whom we still call in Paris, Queen Bianca. A music hall queen, perhaps, but she is the most worshiped of woman, not only because she can seduce any crowd, but also because she can gather and retain around her the intellectual elite of Paris and Europe. Her villa in Beaulieu receives in winter all the brightest minds. Her husband, Tito Formosa, was alone in the front seat. From my seat, I could see the greying nape of his neck underneath the cap he wore over his eyes. Tito Formosa did not work any more after selling his two music halls in Paris and the few American theatres where he used to tour regularly the New World with his troupe, the most famous music hall troupe ever known in Europe and in America. In short, during this moment of silence when I thought about my friends, I estimated that their fortune must have exceeded ten millions, and I was probably below the real total. We left Genoa at dawn towards the east to visit a little Vesta Temple which Tito had admired during a recent twilight. We were half asleep, still drowsy in the morning's mild air while the wind displaced by the car sang cheerfully to our ears. Bianca, not used to such early rising, let her eyelids drop constantly and dosed, impervious to the dawning of the day. It was the beginning of summer. On both sides of the road, the burnt fields spread for miles without any vegetation on the reddish soil. The barley and wheat, which looked like folded over themselves, covered the soil like an unshaven face. From the little ravines came a misty vapour that disappeared with the hot air. Then the sun rose, very red, on the horizon. While it rose in the very blue sky, the countryside filled up with heat and light. The car seemed to move without displacing any air around it. We were approaching from a village and Tito slowed down, because from the farms beside the road, farmers came out with their flock of skinny sheeps. The poultry pecking about in the dust and the cats having their morning grooming were not afraid of our car horn. They left only at the last minute when they realised the car wouldn't stop. He pointed with his left hand, neatly gloved, towards a small square we saw at the end of an avenue on our left. Bianca seemed to rise completely, she bent her head to see in front of me and discovering the white tent of a circus, she smiled. That smile surprised me, because I noticed some changes in her careful glance, some untold emotion and glow, slightly melancholic, uncertain, things linked with past memories. Tito has stopped the car completely. He stayed at the corner of the avenue as if he hesitated what to do next. Was he going to turn to explore nearer the deserted camp, where, for my part, I didn't see anything extraordinary? Or was he going to continue towards the Vesta Temple, the aim of our drive? - It looks as if these barracks from gypsies reminds you of extraordinary things. - Are we going, now? - After all, no! Bianca didn't tell you the truth. That circus reminds her as many things as it does to me and I am decided, today, to tell you the whole story that you don't know yet. - But the Vesta temple? In fact, I was there mostly out of politeness. The excursion didn't really appeal to me. I could imagine the return under a blazing midday sun, the lunch under a suffocating heat in a randomly selected inn with too much heat and too much flies. On the contrary, Tito's intonation stuck me and his accent indicated he had an interesting story to tell. I had known my friends for two years only –it's a fairly long time in Paris- but I didn't know anything of their past life which sounded, according to some people, quite enigmatic. 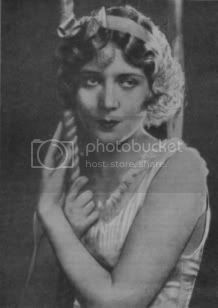 In Parisian society and particularly among theatre people, there are often rumours and not always benevolent. People we meet and are friendly with are not immune to certain slander or libel which are spreading and always intrigues even if we don't give it much credence. - Oh! For me, I really don't care about the Vesta temple. - I don't care at all about the Vesta temple, like all ruins around here. I have seen so many with you since I am here that I wouldn't be surprised if I had indigestion today or tomorrow. Therefore, dear friend, if you have a story to tell me, please go ahead. - Yes, I have a story to tell and even better, a beautiful story. Isn't it, Bianca? - Yes, it's a very beautiful story, but, up to now, it has interested only us and I don't know if our friend will like it. I reassured her with enthusiasm: the occasion was too great and my curiosity was aroused. Immediately, I asked Tito to drive us to a small inn nearby which was rising under its intertwined wine. Last edited by Ann Harding on February 7th, 2008, 7:52 am, edited 2 times in total. After reading the first chapter I'm so involved in the story that I can't wait for the next entry! Thanks for your effort in sharing it with us Christine! And it is really a pity that this Silent is not extant, because it must have been very entertaining. - They called me King Harlequin, started Tito, I was only twenty and I was very simply a circus clown, a buffoon, if you want. A circus artist, you know, is a man in a constant state of vagrancy, attached to a circus of which he is the ornament and whom on the pretext of earning a living, adores this perpetual travelling, from one country to another, sleeping in caravans or under the precarious shelter of canvas, living in a country only during the time where there is money to earn and moving to other places each time a fair, a local ceremony call him to entertain the crowds. - Our director was called Father Barretti, she whispered. - What? Were you there as well, madam? - If I was there! You bet your life. At this time, I did a bit of everything: equilibrist or dancer according to the occasion, I juggled also with plates and knives. I was the target for an archery number as well. - Nevertheless, he told his wife, don't forget that you main number was with me. While you did your trapeze exercises, I was in the ring and I played the guitar to amuse the public while you were resting and I must admit I was quite successful. And I must admit that at that precise moment the married couple were holding hands under the table. I acted as if I hadn't seen anything. - For heaven's sake, I told Tito, you interest me enormously; please go on with your story. It sounds even better than I thought. He poured himself a glass of Asti Spumante, drank one mouthful and clicked his tongue. - It reminds me, he said, of old times, because it's precisely in Italy, near the Mediterranean, that we started our career together, Bianca and I. You see, you shouldn't speak ill of the circus' wandering life: one wanders randomly, one is free without any hindrance or worry. One doesn't even think of tomorrow; the director deals with it better than one would… and I must admit that Father Barretti, whom Bianca mentioned, however old he was, knew his job superbly. He was impervious to the landscape; he went from city to city without any other law than fantasy and his guide was his instinct. He enjoyed his rowdy music. He listened to every piece. He loved his artists and his clowns; he was a nice old man. - Do you remember how he presented me to the public? Said Bianca, blushing. - I can still hear him. - Ladies and gentlemen, we have the honour to present Bianca the inimitable, the intrepid queen of the air! Tonight, blindfolded, she will risk her life on the tightrope. As it's the first time she will attempt such an exercise, I ask you for the greatest silence, please don't forget! No exclamations, no bravo, hold your breath; do not applaud until she has gone down: THERE IS DANGER! - Every night, it was the same pitch and I must admit it worked. I am obsessed by applause, but at that time, I was pleased I managed. To my great regret, I saw the conversation taking a completely general retrospective turn; I wanted facts more than observations, a story not a commentary. Tito perhaps understood this, because he stopped and put his hand on his wife's arm. - If we go on like this, Bianca, our friend will never hear what he wants to know. These memories are just for us, we talk about it often together. He is a journalist and he needs a story. Let's give it to him, on the condition he never writes it… Do you swear? I swore everything he asked. Then they talked in a very concise way and I listened to them with all the attention of a listener who discovers suddenly an unknown page of life, a story that, precisely, he would have the greatest pleasure to share with his readers. This is why, later, I wrote this story. But, I give it to the public only now because Bianca and Tito Formosa have allowed it. That said, as I don't want to be accused of betraying my friends and I don't want to be charged with any sin on judgement day. Last edited by Ann Harding on February 4th, 2008, 4:11 am, edited 1 time in total. Please, let's hope someone finds it so we can enjoy it on the screen. Thank you Annharding for bringing it to us. I therefore now will relate Tito and Bianca's story as if there were both characters in a novel. I am sure my readers will imagine if they read until the end, that it's pure fiction whereas, I know that we can trust the circumstances were real and it's the absolute truth. The Barretti circus was a company which earned a lot of money to its owner. Thirty artists and acrobats formed the bas of the troupe; they gave performances in cities as well as villages. In main cities and good society, some boxes were reserved to every night to the elegant public who loved to slum it within a fairground performance. Father Barretti asked even people to come dressed up for those in the front seats. He was a clever fellow who knew how to keep up his circus as well as seat prices. It didn't prevent the circus to come back to its usual good-natured life, once the artist removed their sequined costumes, silk leotards or their well tailored suits, they went back with great pleasure to their usual outfits and enjoyed life. Bianca, glowing with youth and blond beauty, formed with Tito the main attraction of the performance; her grace made her acclaimed even before she started her number, her smile brought her flowers, visits, cards, compliments, invitations to dine out as if she was a star with advertising in the newspapers. 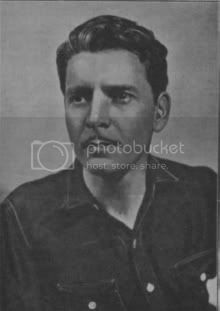 As for Tito, he appeared to the public only under the white-faced mask of a clown, but he contributed a lot to enliven singularly Bianca's number because of his wit and he knew how to improvise with lightness according to the public who filled the seats. He was liked equally by the elegant public or by peasants; he was a good guitar player, an excellent acrobat, eccentric dancer; he charmed, he made people laughed and nobody knew how to get the best out of any event on the ring and make something new out of it. Father Barretti called them his two children, which was an affectionate way to keep them at his disposal because the shrewd director had a sensitive heart and knew how to keep those he loved. Circus work is relentless, the training is daily. For a perfect number, performers have to train constantly and maintain in perfect shape the suppleness of their muscle. Tito and Bianca spent the whole day in their black cotton singlet full of tears worn indistinctly stars, extras and minor parts. They didn't talk much only to put right their number, to precise a movement, to get an extra effect. They advised each others, one totally submissive to the other, accepting orders and their association had never know any hitch in their friendship. But, in the evening, they would take advantage of their mutual constraint following the hour of performance. As soon as the last spectator had left, the lights were turned off; artists recover a freedom which they enjoy to the full. They never think of tomorrow, a tomorrow that seems so remote, at least a year's time away that one will never reach it. They do not think of the daily workload anymore: they are gay when they got applause; sad, a little, when something didn't turn out right; elated when the evening was more brilliant then usual and the director, the only god under the tent, made a compliment. And, in their childish and romantic souls, it's the time when the moon rises and they think about thousands strange things that wouldn't have occurred to them during the day. Tito and Bianca loved each other: they loved; we can say it, since the first day when they worked together. In the circus world, they belonged to a certain cast: their tastes above the vulgar, their desires above that of the normal mentality of this little people without ideals. Their ambition served them. Not that they wanted to rise above human society, nor to envisage impossible fortunes; but they had the same artistic tastes. They were shocked by everything commonplace or facile. Naturally – because it wasn't for an unquenchable desire for wealth – they wanted to do better and conquer their rank. They had known each other for already three months when one evening, in a small Mediterranean town with terracotta tiled roofs, a holiday resort, Tito asked Bianca to come with him by the seaside, after the performance. He took his banjo, but that evening it wasn't to study a complex tune, it was only to accompany softly the words that sang in his heart and perhaps he couldn't utter. Mr Barretti always looked for the most favourable location to set up his camp; if he didn't look at the landscape, he knew nevertheless a set's value, not only for spectators, but also for the artists' mindset. A happy man works better than a sad person, especially if he accomplishes a job that requires eloquence and some nervous excitement. The trailers were lined up on a cliff crowned by huge pine trees and one could hear, from they grassy platform, the sea breaking on the rocks. Tito and Bianca settled on the small ladder leading to their bedrooms and seating there, side by side, head against head, they whispered affectionate and tender words. Tender, at least, without their knowledge, because they hadn't exchanged any passionate promises which come much later on to the lips of shy and respectful beings. It started in a pretty unremarkable way. - The weather is very beautiful tonight, said Tito. - Yes, the wind is coming. Afterwards, there was a silence during which they watched a small steamboat that disappeared on the horizon as if it was running towards the rising day. Its smoke trailed behind him, just a shade darker than the sky, and the white spot of its hull shone strangely in the moonlight. Tito stooped plying his banjo right in the middle of a tune. She turned her head a little more towards him. He looked at the sea, following his far-off but precise thoughts. - Bianca, do you think we could get married one day? She must have expected such a conversation, but, still, she quivered a bit; it's usually the words we are expecting the most that causes the greatest joy and sometimes suffering. This time, it filled the young girl's heart with joy. She didn't answer immediately, but, grabbing Tito's hand which was still on the banjo, she held it affectionately. - Yes, Tito! I think we can. So the die was cast; hearts beat together. The harmony was perfect as their understanding when they were playing to the public, one knowing exactly what the other was thinking even when they were not talking. It was really a glorious night. - One day, said Tito, we'll live our dream; we'll climb higher and higher. - Are you thinking of a new trapeze number tonight? - Yes, he said, we'll do the new balancing act we rehearse together. I only wanted to talk about that. They had a good time together, thinking already of another thing. And, in the dark, their eyes searched each other and their hands clasped each other. - To this dear finger, said Tito, I'll put a ring. And he lightly kissed the tip of the ring finger she gave him. - One day, we'll have a home that isn't on wheels. And both, hardly saying one word per minute, built castles in the air. Both believed in Providence, that night and trusted a worthy reward was due to their youthful love. Life will bloom in the sun in the deep joy of their work and rest together. Yes, it was a beautiful night as it saw the decision of Tito and Bianca's wedding. Here is the next installment! After this short chapter, the events will go at a very fast pace, indeed, be prepared!!! - And, now, what novelty could I launch for the public? He searched in his inventive mind, gathering his memories, knowing how to copy any past shows, combining and imagining. He moved away from his circus during the day, walking randomly, looking down, hitting clods of earth with his cane, looking more downcast and unfortunate while he was sizing the right idea. Joy made him sullen. - What am I going to do with Bianca? She is the best and I have to use her. 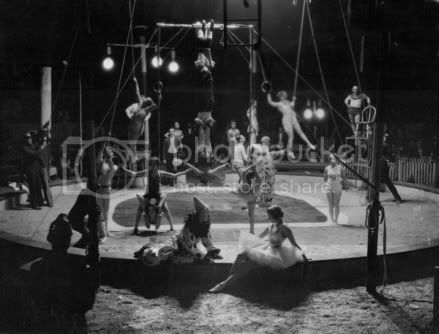 The trapeze number was still a success at the box office in the evening performances, but, it wasn't a reason to seat back. One of Father Barretti's favourite mottos was: "Those who stop are dead." And he didn't want the circus to stop and die. An idea suddenly lit up his mind. He just saw a piece of paper, light up by a small peasant boy, rising in the air, floating and going in the wind. It's wasn't new, true enough, but, surely, the inhabitants of this holiday resort would enjoy the show as well as the tourists, at this time of the year, who came for their summer holiday on the beach. We were during the elegant season. Hotels were full of people, the biggest: The Savoia had very aristocratic and wealthy customers. With some clever publicity, he certainly could make excellent receipts and it would give a prestigious image to his company. A hot-air balloon! Why didn't he think about it earlier! In his mind, he established the whole plans of the attraction. He would get the balloon from Rome. It will be inflated on locations. She would take off taking Bianca in the air hanging on the rings. The young girl carrying a parachute around her waist would fall from a certain height. But, would she accept? He replied by the affirmative. Bianca would certainly accept. Her boldness and courage made her a perfect resident member; anyway, the exercise was without danger. Father Barretti recalled he was himself a modest acrobat in the past when he was less corpulent as he became at fifty. He came back to the circus enthusiastic and to make the most of his intellectual excitement which push him forward, he told immediately the young acrobat. He talked with enthusiasm, showing her what glory could be hers: a sensational number, a one-woman show in broad daylight in front of a completely overwhelmed and emotional: her name in the newspaper; nobody to share the limelight with. And he went as far as to double her salary… for one day only, of course. Last edited by Ann Harding on February 5th, 2008, 4:12 am, edited 2 times in total. This movie must be really good. Thanks Christine I'm enjoying it wholeheartedly. I am glad, Fernando! But you haven't seen anything yet! -We have the honour to present you Miss Bianca, the inimitable, the audacious, the intrepid queen of the air, in the most perilous exercise of her life, that exercise that she already had the honour of performing in front of His Majesty the Emperor Mélénik and the Mikado of Japan. Her courage equals her charm and beauty: she will fall off at 1300 meters – I said 1300 meters –in the air and will land safely. Father Barretti had put on his best clue coat for the occasion. He waved the silver knob of his cane with his initial engraved and a black silky ribbon. In the other hand, he ruffled his hair with the greatest care, paying attention to be hatless when he mentioned the name of great figures who had witnessed this unforgettable performance, besides completely imaginary. - Watch with all your eyes! 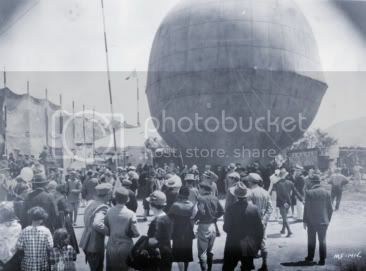 A thousand people surrounded the balloon, half inflated, which was already swaying in the air like a half full goatskin. In an excavation, the circus prop men were burning some dry wood to fill up with hot air the robust canvas envelope. Tito kept an eye on the work. He didn't trust anybody except himself to check the strength of the rings and apparatus. For the twentieth times perhaps, he checked the robustness of the knots. Bianca's trapeze was hooked to an iron circle. The young maid would fly up in the air with the balloon and as long as she will be in the public's sight, she would accomplish her usual exercises. - You'll let it go as soon as you'll see the steeple of Santa Maria La Grande, had advised Tito in a low voice, as he didn't want her to perform too many acrobatics at such a height. It was quite enough to kill herself; but, Tito, while he didn't fear any danger in the exercise, thought he would diminish the chances of failure by the limiting the height of the performance. The heart, it's true, doesn't always reason like the mind. It's got its inconsistencies and reason has nothing to do with it. Bianca in her costume did her best to cheer Tito. - What are you talking about? Said she. I am perfectly sure of my wrists and my tendons. She showed him her fist, slim but strong, where under the skin circulated a vivacious blood which was visible through it. - Does your thumb "catch" well? You had a sprain last year. - He "catches" admirably. But, I can simply count on my other fingers. I can hold on to the trapeze without the thumb, I tried yesterday evening. - The truth. During my number, I held on with only four fingers. You didn't even notice it from the ring. All this would have been mysterious to anybody unaccustomed to acrobatics. It's the thumb in general that supports the whole effort; it holds onto the ring or the trapeze. It's a weakness of the thumb that causes a lot of accidents. Tito shook his head, surprised and delighted. Bianca deserved to be admired and he thought that if Bianca attempted such work at 500 or 1200 meters high, it's because she was absolutely sure of herself. The girl's composure always astonished him. - Ladies and Gentlemen, here is the moment approaching. Moderate the beatings of your heart; you're going to see something you've never seen before. - Miss Bianca is going to take the trapeze. Please, notice that she will hold only though the strength of her wrists. Nothing attaches her. All eyes were on the young girl, sure of herself. 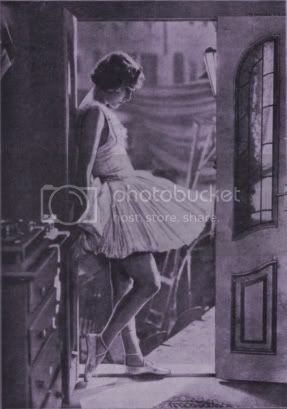 She moved bravely towards her trapeze, picked it up and held it firmly with her usual commercial smile which gave her so many admirers. Tito and one prop man cut the cables that held the balloon on the ground. The gigantic balloon went up at an unexpected speed in the sky. Freed from its moorings, it went straight up as if it could reach the zenith in just one jump. But at twenty meters, it swung caught by the wind and started to pitch from left to right, uncertain about its direction. However, it still rose and suddenly at fifty meters, headed straight for the south. Tito, so far, had staid besides Barretti looking up, ran towards a cart which was waiting outside the crowd. It had been arranged that he would go towards the balloon to pick up Bianca after she jumped with her parachute. He found the harnessed cart and the horse held by a young boy. He checked the direction and set off immediately at a gallop as the wind was pretty strong and he feared he would loose sight of the balloon sometimes hidden by the trees. A bit scared, he wondered why Bianca didn't let her parachute go. She was only a small white dot in the air, still doing her pull-ups. And he sighed with relief: Bianca had just jumped. He stopped his horse to see if the parachute had opened normally. It was the most agonising moment of his life. The young girl first fell like a ball. 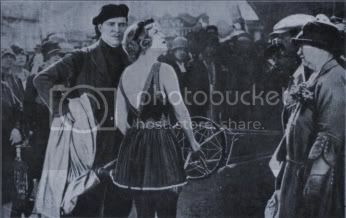 There was an outcry from the crowd; women turned back and some men moved forwards as if they could stop her fall. And suddenly the parachute opened graciously like a jellyfish blooming in the air as if by magic. Then, held like a ball on a wire, Bianca stopped her staggering descent; she swung slowly and started to go down in slow motion while, above her, the large spreaded envelope, open like a dome, reflected the sunlight. - Hey kid! It was worth it, wasn't it? Especially when you didn't have anything to pay. - What an excellent day! He already calculated the receipts for tonight's show. Tito wasn't there any more. As soon as he saw the direction taken by the parachute, he dashed towards Bianca, as we said earlier, and now his horse was on the trot and he pushed him to a gallop. While it was a plough horse, not accustomed to racing, he wanted to be there when the girl would land on the ground. He wanted to help her to remove her apparatus, and do everything possible so that she wasn't dragged onto a ground covered with gravel and prickly bushes. And yet, in spite of his diligence, and the lashes of his whip on the horse's back, he was overtaken by a more powerful vehicle which was following the same road before he could reach the landing site. It was a powerful open-topped car with a monstrous bonnet painted sky blue without a single speckle of dust on it. A young man drove it; he held the wheel with clear colored gloves and hardly had the time to hoot to overtake the cart. Tito, anyway, didn't notice him. He was too absorbed by Bianca's descent and wanted to spot the terrain. During a brief instant, he didn't see her anymore and he thought she had landed behind some huge pine trees which masked his view on the right. Bianca, actually, had landed safely in a small dip of the plain, and, thankfully, her parachute was not caught up by the wind. It was lying beside her on the grass, like rags which have accomplished their service and are beyond reproach. - If I am not there in time, Tito had told her, hurry and remove the knots attached to the braces of your waist. This is precisely what she was doing to avoid being carried away by the wind. Unfortunately, she had held her trapeze so tightly with her fingers, her muscles had been under so much tension, and she had cramps in her joints and couldn't untie the knots of the parachute. Kneeling, she was so absorbed in her difficult task, taking her time, happy to be away from the crowd and avoiding thus all the smiles and bows necessary in front of the spectators who had witnessed her taking off with the hot-air balloon. - Madam, do you allow me to offer you my help? Bianca looked up, startled. She hadn't heard anybody coming and all of a sudden, this strange man was there. She looked at him astounded. She looked at him a bit more closely and was even more dumbfounded. It wasn't his gentlemanly attire that astonished her so much. The man was dressed with extreme elegance. He greeted her with his neatly gloved hands and Bianca could see his sky blue car by the road side. What really astonished her was his extraordinary likeness to Tito, especially the face. If he had not been wearing such an elegant suit, and if his manners had not been so distinguished and refined unlike Barretti's clown, she could have taken him for Tito as his face had all the distinctive marks of the clown's physical personality. Like him, he had thick dark curly hair, dark eyes and a hard expression in his eyes. His head was square and massive, rather strong, one of these heads like that of a stubborn animal sure of its strength. Athletic shoulders, looking a bit wild, strong hands that must have held tightly when he grabbed something, but, above all – and Bianca was looking at his eyes again – an implacable will in his glance. Only, while Tito's clothes were ordinary without any fancy cut and had the ordinary smell of a circus which is only nice to people who live there, from his driving suit, his linen, perhaps his skin, came a very subtle perfume, which the young girl didn't know but left an imprint in her memory. - I don't need any help, thank you, Sir. - I can drive you back. He stared at Bianca with an ironic and absorbed glance which seemed to refute all his delicate distinction. Those glances proved to the young acrobat better than any excessive compliment that her interlocutor found her pretty and wanted her to know it. - Sir, I don't need anything. I just want to be left alone. The man leaned back slightly and laughed discourteously. Indeed, this man, without a doubt educated, knew he was talking to a circus girl and in spite of his good education and his manners, showed clearly he didn't always behave with women as if they were from good society. - Don't put on such airs! –his tone became aggressive– I would like to know you better. When can I see you? She looked down, red with fury, ready to get angry. Then, he took his wallet and removed a card that he forced in Bianca's hand, thinking it would probably ease this difficult conversation. - Count Cassatti, you're a cad! - You cannot go back to the city in this cart; allow me to give you a lift. My car is more comfortable. - Goodbye, Sir! I hope I'll have the pleasure never to see you again. After that, she ran to Tito and he received her in his arms. It wasn't their first kiss, but it was delicious nevertheless. They were coming back in the cart, Tito had left the horse go very slowly as there was no use to rush; the public would certainly wait for their return to let go their enthusiasm. Slowly, drawn by a tired horse, the cart moved between trees and an empty plain. Bianca told him about her emotions during the descent. While she accomplished her feat with great composure as she judged it to be without danger, she confessed now that she wasn't quite as brave as she thought. - It's the ascent that was the most taxing. I saw myself going up and up and I wondered how far I would go. The balloon made a terrible noise, the air was cooling down and the canvas kept slamming like gunshots. - You should have let it go. - That's what I did. As you saw! When I saw the balloon disappear above me at an incredible speed, while I felt I was falling, I thought: "The parachute will not open." He opened nevertheless with a creaking sound like a canvas being torn up and it was as if one arm snatched me from the jaws of death. Afterwards, it became delicious. I'll do it again, Tito. She looked in front of her, radiant and happy to be alive. Already, a murmur from the crowd reached them but she couldn't see the spectators yet. At the entrance of the village, on the main street, there was a high mound that they climbed under the burning sun. The horse slowed down again. Then Bianca did let out a cry, realising that she forgot to mention Tito her meeting with Count Cassatti. - This man here looks like you in the most astonishing way, even his voice, can you imagine? My word! I thought for one second that it was you with a different costume. - He looks better than me, then? She looked at him tenderly and gave him a slap on the cheek. - How can you say such things? Didn't you look at him? Tito admitted that indeed he had concentrated his attention on her and he had hardly noticed the figure that was on the landing site. He took him for a simple onlooker, which was natural on such a day. Didn't some spectator run to the road to witness her landing? Anyway, the incident didn't warrant a long conversation. It was already forgotten by the two fiancés. And the cart arrived at the village entrance. They were on show again. When they reached the top of the mound, she had a cry of surprise when she saw the whole square absolutely full of spectators. The whole town was there.They screamed, they cheered and she noticed Father Barretti who shouted even more loudly than anybody else. - Are you pleased, my dear director? No accident! No false move! By God, yes, Mr Director was pleased. And knowing it was good practice to show his satisfaction in public, he took care to give her, in front of the crowd, an envelope containing her double fee. He had only retained a few francs for accounting, because he was a practical man and business was business. As the following chapter is rather long, I'll split it in several parts. Prince Carlo Cassatti finished checking meticulously his evening outfit. He looked at himself in the mirror and ascertain that not a single speck of dust dishonoured the soft shine of his suit. His tie was beyond reproach, his collar shone, his varnished shoes were creaking moderately and in his thin and slightly turned up moustache, not a single hair compromised the alignment. The valet gave it to him. - No, I won't take it immediately, put it on the chair and go away!... Did you take the tickets I asked for tonight? The valet gave him the tickets. He talked briefly with a certain dryness to the personnel. He was obviously accustomed to command, and to command in an authoritarian fashion, as if he had been in the past an officer or a figure in front of which everybody must submit. The servant bowed deeply, deeper than what he usually did in front of ordinary customers of the hotel; he left the room while taking great care to close the door noiselessly. Count Cassatti was alone. He looked at his watch and read 8.30 pm. - I got dressed too early, said he. He was annoyed by this error of judgement, as if he had committed a mistake to be avoided. His apartment at the Hotel Savoia was a two-room suite with an anteroom. He was standing in the room used as a living room. A vast room furnished like in most luxury hotels. He found there all the showy luxury he seemed to need. He moved towards the bedroom. On the doorstep, he stopped and listened in wait. He had heard a slight noise near the window, masked by some high and heavy curtains. The bedroom was in the dark. The count didn't switch on the light and stayed where he was, his face turned towards the curtains closing the open window so that the sea breeze didn't cool down too much the room where he would sleep. Because these windows led directly unto the Mediterranean and when he went on his balcony, he could see, hundred meters down, the waves beating tumultuously a foaming abyss and the currents swirling in an unrelenting and permanent anger. The noise, no matter how light, continued. It was like a brushing against the iron balcony. Then, there was a precise impact on the window and finally the noise of two feet when they hit the floor and their proprietor wants to stay unnoticed. The Count moved back and quickly went to the anteroom to take his cane. He was brave, we have to admit it. He never thought to escape this unknown danger that came to threaten him in his own room. Completely noiselessly, he came back to his observation's post and noticed that during his short absence, things had changed. A man was now in front of the window, standing in front of the curtains, motionless as if he was looking for some bearing. He appeared, of course, only like a vague figure in the dark. But, the Count holding tightly his cane in his hand, switched on the light. The man was startled but didn't move. His eyes moved towards the occupant of the room who was watching him. It was a young man with long black hair, glowing eyes, with a passionate expression. He wore some trousers without braces and his shirt open on his bare chest. In his hand: a revolver. He stared at the Count and he certainly recognised him as there was suddenly an indescribable expression of hatred in his eyes. - I was looking for you, he whispered in a low and threatening voice. - Can you leave this room so that I can get you arrested by the hotel people? - Scoundrel! Do you not guess why I came here? - Not in the slightest. I do not remember inviting you. - I came to avenge my sister. The Count's smile became larger. - You don't say! Said he. - Go out at once! The police will know what to do with you. - I do recognise you now. Are you Manuelita's brother? The other one had a suppressed gesture of anger. - At last! And do you know why I'm coming? - Not the slightest idea. - You seduced my sister and she killed herself when you got rid of her. Three more knocks on the door, a bit louder than the first time. - Let's get it over with, said the Count while stiffing a yawn, throw away that gun and give yourself up. Don't you see that you are spoiling my evening? Instead of obeying, the young man raised his gun and was going to pull the trigger when a swift blow on his wrist released the gun. Count Cassatti was just waiting for this moment to act. Audacious and sure of himself, quick minded, he jumped sideways and then stroke with all his might with his cane –and it was a very heavy one- he had broken neatly the young man's wrist. The man staggered, his arms forward looking for any point of support. Then the count, taking advantage, stroke him violently on the skull. The young man fell senseless. It was so fast he didn't have the time to scream. While falling down, he caught one of the sofas, his feet were trapped in the carpet between his heels, he tried to get up but with a long sigh as if all his life was leaving him, he fell down and stopped moving. The Count shrugged and didn't even check if the man was dead. He was so sure of his own strength. Carefully, he closed the bedroom door after switching off the light, put his cane on the living room table, taking care that it didn't roll down, pulled his cuff a bit and while there was again three discreet knocks at the door, he went quietly to open. Discovering the figure in the dim landing light, he moved backwards, slightly annoyed. - Oh! Said he, so it's you! I am damned if I expected you here tonight. He spoke this way to a woman, a young and pretty woman in a very classy evening gown. She was hatless, had diamond earrings and wrapped herself in a luxurious fur. She didn't apologise and just looked at the Count with the melancholic glance of a woman looking for solace and affection and finding a cool welcome. - Excuse me; I just wanted to say goodnight before you went. - Well, come in, my dear! But you disturb me greatly, have no doubts about it. He received her in the living room, and at first, there wasn't a single word exchanged between them. The Count looked busy and indifferent, moving towards the mirror to rectify mechanically the position of his tie; he had a deep fold across his forehead showing his bad mood. - You seem worried, dear? He stopped walking as if he had made a decision, as if the word 'dear' had given him the strength he was looking for, he came straight to the young woman, who was standing there, her hands on the back of the sofa. - I'm listening. I've listened to you for so long when you still talked to me….about love… if you can however remember it. He took his time as if he hadn't heard her. - My husband doesn't know I am here; we are going to the Opera tonight. - Be quiet! There are words that shouldn't even been mentioned. - Yes, I'll be silent, but I know who you are, don't forget. He looked angry again. Certainly if she had added something he would have lost his temper. But, again, they were some knocks on the door and this time they didn't come from a timid hand. The young woman looked surprised and frightened. She closed her coat more tightly around her and looked for a place where she could hide. She saw the bedroom door ajar and went this way. The count stood in her way with his arm extended in front of her. - No, said he, not this way! He knew there were some things that she shouldn't see. She wasn't mixed up at all with the previous drama. The Count Cassatti's good fortunes piled up without having between them any other relationship apart from the passion of a frenzied seducer, completely unscrupulous. But, still, he didn't judge it was proper that his latest mistress witnessed the tragic conclusion of a former affair. He noticed a hidden cubby-hole in a corner of the living room. - Get in there, said he. - Do not think you'll frighten me and do not make me go away before I have found my wife, my dear Count. I know she is here. Cassatti didn't even bother to deny it or even to look surprised. - Well! Said he, if you want to, why don't you look for her? The husband, while being a distinguished gentleman able to hide his feelings, showed signs of impatience in front of such mockery. - Well! He continued, once I have found her and sent her back to her apartment; we'll have to discuss something together. - At your disposal, said the count, I only hope you won't make me miss my evening because I have an urgent appointment. The husband clenched his fist, as if he wanted to hit somebody, but he refrained from it. But he staid there uncertain what to do, shifting from one foot to the other, torn between the desire to crush this evil being and the desire to stay polite. He didn't talk. Only, a growl came from his lips, and as if he had made a decision, he moved three steps towards the bedroom door. The Count ran after him. He judged it was useless to say "Do not go in!" as, already, the man had his hand on the door knob and was going in. The Count was the kind of man who never makes forward plans and relies entirely on their presence of mind, his hand's sudden reaction to take advantage of the events as they occur. He entered behind him. The husband had tripped over the overturned sofa; Cassatti was kind enough to give him some light. He waited to see the result of the effect produced with a certain perversity. For him, of course, the previous drama had left no traces in his mind. It looked to him like a perfectly usual thing, almost natural. He observed the husband, but, beforehand, he took the revolver which had excaped the first visitor's hand. Wasn't it a beautiful evening for somebody looking for thrills? Then, as if he had only one thought, to kill an evil animal, he touched his trousers' left pocket, a pocket that usually contains a revolver. And it was a revolver he took out. He didn't even had time to aim at the Count. A sharp bang, a little bit of smoke! Cassatti had fired off. The husband looked suddenly frozen with an unsteady stupor. He moved forwards then backwards. On the back of the overturned sofa, his legs gave way and he suddenly collapsed while a big blood stain was growing bigger on his shirt and his mouth opened widely. Cassatti didn't move. A little pale, but quiet, because he wasn't surprised by any unexpected and extraordinary event – didn't he envisaged this eventuality? – he moved and threw the revolver near the young man who had entered the room first. Nothing had troubled his astonishing serenity. In front of this succession of abnormal facts, he didn't feel any more terror than if he had witnessed an unfortunate duel, where he was a mere onlooker. He had acted reasonably according to his own temper, he had protected himself. He hadn't wanted to kill, of course, but, anyway, having killed, he absolved himself and didn't feel dishonored nor anxious. But, raising his eyes, he saw in the doorway the terrified face of the young woman who having not witnessed this domestic tragedy, had nevertheless heard the gun shot. She trembled, her teeth clenched and her hand clenched on her coat. In front of her, she discovered her husband lying dead, furnitures overturned and also the corpse of the first victim, half hidden by the sofa. She wondered what on earth could have happened. The Count just had time to stifle a shout. - For Heaven's sake! He said quickly, be quiet and go back to the living room. A woman shouldn't see those things. Appalled, incapable to utter a single word, still wondering, it was obvious she felt for the murderer some kind of loving horror. She loved him with her whole soul, and she was scared. She had wanted, in her moment of weakness to take refuge in his arms, but, she was shivering with fear. Suddenly, she slipped and nearly fell. Looking at her feet, she noticed she had stepped into a pool of blood brought there probably by Cassatti's foot. She suffocated, so overwhelmed that she couldn't stifle a sob. It didn't burst, just stopped in her throat and she couldn't utter a word. Ashen faced, she moved mechanically like a dislocated machine, unable to react. She fell into an armchair. - One second please, said Cassatti, do not move and do not call! He went to the telephone. He took the receiver and called the porter on duty that night. The young woman, knocked senseless by such composure, uncertain of what she heard, thought she was witnessing the end of a drama in a theatre. She couldn't be the heroine of such a drama; she listened without thinking as her heart was beating wildly. The count's voice was as steady as if he was asking when his mail would be brought up. - The porter? Great… Send me somebody immediately and if possible with a doctor. A murder has been committed in my apartment. - And, of course, call the police as well. - Not a word, I'll do all the talking. - Where is…where is he? - One minute, please! Let me explain the events! - I hope these policemen have been told who I am. The three members of the hotel bowed deeply in a very referential way. - We thought about it, My Lord. These gentlemen are aware of whom they are addressing. - Well then, here is what happened. - It's unfortunate, but rather banal. This lady and her husband came to take me because we were going out tonight. Just as we were leaving this room, we heard some noises near the window. He spoke more particularly to the two policemen, for which he showed great care. -During your inquiry, you'll find certainly some traces of breaking. I go on. - Leaving this Lady in the leaving room, we went, her husband and I, to see what was happening. We caught a burglar in my bedroom. He must have thought that the apartment was empty. I knocked him dead with my cane, this cane you see over on the table. Please, look at it… You can keep it as evidence. I go on. Before he fell, the burglar drew a revolver and shot at us. His bullet hit my unfortunate friend. He is dead and with a second stroke of my cane, I finished off the burglar. Both are dead. With one gesture, he called the valet who listened with both ears. - Open the door, and asked the carabineers to make their first investigation. - I hope this Lady can go back to her room now. You don't need her anymore and these emotions have shattered her. 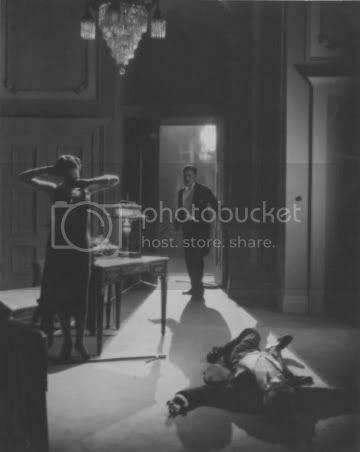 The carabineers made no objection to this legitimate demand and the fallen mistress of Cassatti, without even turning back, went to the corridor, while the count wished her goodnight and while kissing her hand, offered her his condolences in an intelligible way. The investigations were rather fast. Everything seemed to agree with the Count's story. On top, the Savoia's personnel showed so much deference for their illustrious customer that the policemen overwhelmed didn't even dare to interrogate him and made their report on-the-spot, without ordering a full enquiry. They came back with the servants in the living room where the Count was smoking nonchalantly, and declared that the bodies would be removed immediately. - Very good! Replied Cassatti. But, I would like to have another apartment for tonight. I wouldn't like to sleep in this bloody room and the police must want to have it untouched. - The police is enlightened, My Lord. Everything happened as you described it, I understood this at once. - I think you didn't doubt it for an instant. - That's enough. You acted quickly and I thank you. Can you leave now? - Mario, come here. You're an idiot, my boy: I asked you for tickets for the circus tonight, not for the Opera. And you gave me Opera tickets. He threw the tickets to the astounded servant's face. While the servant retired, he put on his cloak himself and once again, in front of the mirror, he straightened the harmonious knot of his tie. When Count Cassatti entered the circus, the performance was already well underway; the first part was nearly ending. Father Barretti professed that each act should end on a 'sublime flight of fancy'. He had arranged, therefore, for that moment a big display with all the athletes and one could see from all corners of the circus, from the ring to the dome, trapeze artists, jugglers, performing horses and clowns. In one word, the whole troupe was there on foot or in the air. Satisfied by this profusion of movement, noise (as the band played its brightest pieces) and colour, the public displayed clearly its joy and applauded the show, whatever it was.The ring leader gave orders to the circus hands in blue uniform with a very loud voice similar to that of generals commanding a charge under enemy fire. His vibrant voice only added to the gaiety and noise of this first high point of the show. When Cassatti entered the theatre, he didn't mind annoying people in the neighbouring seats, and this time again, while being taken to his seat by an usherette; he was looking for the lady he came for with his opera glasses. He didn't even notice the discourteous remarks made around him on 'these people who are always late at the theatre and annoy everybody around them'. He was given a third row seat, but, he didn't even bother to seat in it. He stayed standing observing the rings, trapezes and what was happening on the ring. He was asked to sit down. He obviously didn't obey. But, discovering an unoccupied box, he stepped over a row of seats and went to sit in the box. His opera glasses hadn't left for one seconds his arch highbrows. In the air, just above his head, he saw some charming young ladies displaying their grace and suppleness. They noticed their admirer and overdid it a bit for him. But, he moved his glasses, he wasn't interested by them: his mind was made up. Clowns have a special talent to discover a person with some social status in the crowd. They are the worthy sons of buffoons and know that lazzi are something well paid; they came round the Count's box and bowed deeply while practicing their somersault at close range as well as their facial expressions. Count Cassatti looked away. 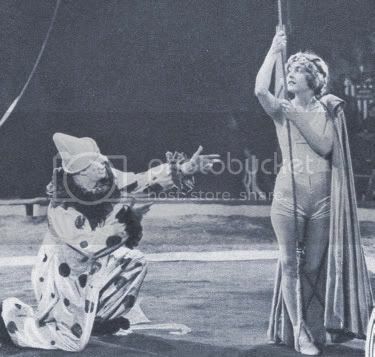 The ring leader's voice attracted his attention near the entrance of the circus. And over there, near the wings, he noticed Bianca getting ready to enter for the final number. 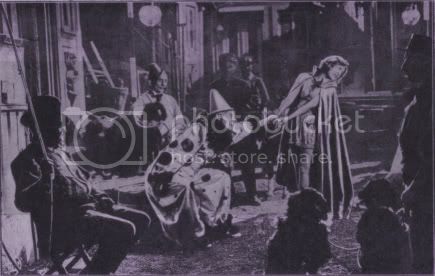 Close to her, Tito in his clown attire was there; but, the Count didn't even notice a person of such low social status. The two partners came together on the ring just when the band stroke a chord and the public applauded wildly. The cries of delight of a happy public rang while up there three young men were throwing some bunches of cheap flowers towards the 'Queen of the Air'. - Goodness me! I am not the only one who admires this pretty girl. He didn't really matter actually, and he even smiled at his own joke. Then, as a man was going round the ring with a board covered with INTERVAL in bold red letters, he got up and stepping over the seats bordering the ring, headed straight for the wings while the prop men looked at him, slightly curious. Father Barretti, mopping his brow, did let strangers come to visit the horse stable. It was his glory. He put back the handkerchief in his pocket and came over, attentive. - Sir, do you want to attend the elephants' feeding time? It's a show worth a bag of gold, Sir, if we made people pay for it. But, it's free, Sir, entirely free….for nothing! He was also able to recognise instantly important people. It's an atavism common to comedians. Circus artists have always bowed in front of elegant gentlemen in the stalls, even when nowadays they don't wear anymore hats with long feathers, swords or red heels. - I'd rather you showed me the dressing rooms. I want to present my compliments to Miss Bianca who is a remarkable artist. Barretti's eyes crackled. For him, it became clear. During the evening, he had brought himself a long box of flowers to the Queen of the Air's trailer, just delivered by a posh bellboy. Of course, he had opened it beforehand in order (he apologised) to make sure it didn't contain any explosive or snake sent by a director jealous of his star's success. And he had seen, well in evidence, Count Carlo Cassatti's card. So, he didn't doubt the spectator's identity who asked for the dressing rooms. There wasn't that many. He bowed half a dozen times in a very obsequious and attentive way. - This way, My Lord, this way. And bending down, he led himself the Count to Bianca's dressing room. - So fresh and young, tonight, charming lady!...and what beautiful arms, ready for kisses! - Isn't it, my dear? Then, almost at once, in one sudden gesture, she rested her hands on her hair and removed her blond frothy wig. She uncovered the shaven head of a young man to a completely dumbfounded Cassatti while he roared with laughter, a real man's laugh which made him even more crestfallen. - You don't fancy it as much, hey! Mate! You didn't expect that. The Count moved away quickly as he didn't want to draw too much attention to such an unfortunate error. But, he couldn't avoid the merriments he caused. He heard again the laugh of the groom to whom the drag artist told his story. A pony pushed him against his manger, an elephant against the canvas and he received between his legs a broom sent by a clown. Then, at last, Father Barretti put him on the right way. He suddenly arrived in front of Bianca's trailer, and before knocking he looked through the half-opened door. - Tito! I've got an admirer! The voice of the clown came through clearly in spite of the fact that he was extremely busy removing his foundation with a lot of Vaseline. - Ah! Really! Then, congratulations, my dear, I hope you'll take advantage of him. - You're not jealous, are you? - You know, it's a high-born person; an aristocrat! - A Count, my dear! - Ah! He isn't made like other men…he has two heads, four feet and four hands? - Let me talk… it's the guy who looks like you, you know, the one who wanted to give me a lift after the balloon show. There was a pause, then, Cassatti heard the reply of the man he couldn't see. - You'll give him my compliments and you'll kiss his hands for me. - Absolutely! Said Bianca, and I'll tell him to look for me in China…and to wait for you to find him there. Strangely, these remarks amused Cassatti enormously who had heard many during his lifetime, but nothing could put him off a conquest. He was about to push the door when a sentence from the young woman stopped him. - Ah! She exclaimed, I mustn't forget to give the baby his milk bottle. It cooled down immediately the professional seducer whom didn't expect to find this beauty in possession of a new-born baby. - Oh my! He exclaimed, what have I done? Is she a mother? Last edited by Ann Harding on February 19th, 2008, 3:01 am, edited 1 time in total. - That's right! Poor baby! declared Tito's cheerful voice…and above all, give him a good amount! Don't forget that yesterday he nearly broke his bottle between his teeth because he was so hungry. You are a cruel mother. - Don't worry! I took two litres of milk and I think he will be alright for the whole night. At that point, some groaning, which seemed a bit too strong to Cassatti to be those of a new new-born child, disturbed the conversation. Curious, he pushed the door and had a look. He saw that Bianca's baby was no other than a baby leopard that she was feeding like a good circus mother. Then he went in deliberately. 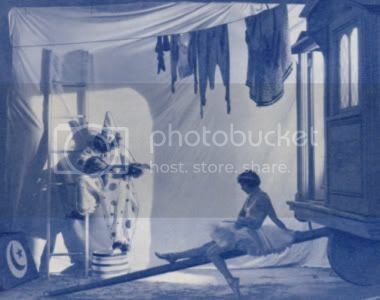 The Count saw that the young acrobat was dressing alone in her trailer. Tito's voice came through the partition and he seemed nevertheless relieved to realise he could stay in relative isolation with the young woman. And Bianca, who didn't even turn her head as she was busy, giving his milk bottle to her favourite animal, suddenly felt a human presence: the count's ankle-boots creaked on the parquet floor. She turned suddenly and was astounded to see this man. And if she didn't tell him to go away instantly, it's just because he offered such a strong likeness to Tito that it stopped her protest on her lips. It was really prodigious. 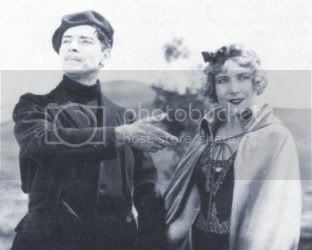 In spite of her embarrassment in front of this indiscreet gentleman and the real horror she felt for his practices, she didn't express her true feelings, as she couldn't express any ill feelings towards Tito's look alike. - Sir, were you not told that you were not allowed in the dressing rooms? - Nothing, Tito. I have a visit. It won't take a minute. - I shouldn't really mention the quality of these flowers, and yet, dear Lady, I should nevertheless say that I selected the most beautiful roses in Italy. This is what we call here 'the garden queen'. In your dressing room, there are at the right place to die. Your beauty equals theirs and I am sure they are happy to bring you the homage of their sacrifice. - Yes, Sir! I agree, these roses are superb, but, I beg you, do not send anymore…I wouldn't know where to put them. All noises had ceased in the nearby dressing room. Tito was just finishing touching up his make up and he listened to the conversation, while moving noiselessly the toilet requisites. He wondered who was this intruder and perhaps already guessed it could be that man he saw during the afternoon near the landing site. - Now, Sir, will you be kind enough to leave? I must go for the second part of the show. The public is waiting. - Are you ready, Bianca? We must go to the ring at once…I can hear the band. Cassatti had a bad-tempered gesture; he put back his hat on and after a silent bow, left the room, rather annoyed. However, he waited outside for the young woman's departure. She went past him ignoring him completely. He wandered through the corridors, extremely pleased to survey all the female bodies around the ring's entrance and hoping nevertheless to be able to talk with Bianca. Once again, he was knocked about by the performing ponies who in the narrow path were croup against croup, whinnying, shaking theirs heads, proud like artists who know there are the stars of the show. He saw Bianca again but she wasn't alone. Tito, dressed in his clown attire was with her, his banjo under his arm. Cassatti looked with contempt at this face covered with white, red and blue make up, extremely unhappy not to be able to gaze upon that man's real face. He already felt a strong aversion and would have liked to slap his face in order to unload his ill temper on somebody. He wanted at all cost to meet Bianca and talk to her on her own. He had something very special to tell her and he was furious he hadn't done it earlier and gave her a present. The icy reception in the dressing room had prevented him from doing it. He had a stroke of luck. Providence sometimes helps evil doers. When the ponies moved sideways to let the clowns make their entrance, Tito got separated from Bianca. Quickly Cassatti, who observed the young woman, went to her and gave her a small case he had in his hand. - I forgot, he said quickly, to offer you a souvenir from our meeting. Allow me to make up for my forgetfulness. With just one finger, he open the case revealing before Bianca's eyes the most ravishing pearl bracelet she could imagine. She didn't have many jewels as so far, as nobody had ever offered her pricey gifts. The circus public likes its artists but unlike the theatre and the music hall, they rarely make gifts. They show their admiration by applause, rarely by giving flowers and jewels. The small presents from Tito fitted nicely in a small box on her dressing table. It only contained a small ring with a sapphire and a pair of earrings with glass beads. She didn't even touch the Count's present and look at it without batting an eyelid. He staid there rather disconcerted and surprised to see his present rejected. She was wondering how to get rid of this annoying intruder whose admiration was getting troublesome. What did he want, anyway? Admittedly, he was attracted by her, and she was sharp enough to guess his intentions. But, he hadn't expressed any hurtful or precise desire. Tito came to her rescue. He saw the scene from afar, caught by the horses and not been able to intervene. Father Barretti's ponies were important figures and had to come on the ring in a special order. The first pony didn't tolerate to see the second pony go ahead of him and the third one was virtually glued to the croup of the second one. - You! Go away at once with your roses and keep your gifts for the type of women who likes them. Bianca took advantage of the incident to move away. She had complete confidence in her partner to get rid of the Count. She knew that Tito had decisive arguments, and if his vocabulary was not always polite, he knew the right word to silence any opponent. Taken aback, the Count didn't reply. He had only contempt for this clown and he was still wondering how he should react. Tito took advantage of this lull to equip himself for his second number. It was a spoof bullfight where he had to wear a small cardboard horse costume to play a comical picador. When he raised his head, he saw that the Count was still there laughing at the unusual get-up Bianca's champion was wearing. There was something very offensive in this laugh and Tito was not in a frame of mind to take lightly any mockery. - What? He growled in a menacing tone, though very low, you haven't gone yet? - Your are too beautiful! I am allowed to look at you; after all, I paid for my seat. - Tito and Bianca…quickly on stage! Bianca reappeared as if by magic. She had stayed nearby listening to the words exchanged between her fiancé and the Count. She didn't want the argument to go any further, fearing it could become physical or it could affect her partner's standing with the public. Scandal is always feared in circuses where everybody works for the public's entertainment and must be friendly to quality customers. Father Barretti himself, in spite of all his friendship for artists, would have not tolerated to see a customer with a first class ticket manhandled, especially one wearing a black suit and a white tie. There is in the world of entertainment a general feeling that governs all domesticity: "All for the public" said Father Barretti, who added philosophizing gladly: "It's our glory and also our decline, but, it is so." He was right the old man when he was vaguely aware that when trying to seduce the public to get some applause, one could also despises it because it's such a hard taskmaster. She dragged the clown towards the ring flooded with lights, beyond the barriers guarded by men in blue uniforms. He followed her. 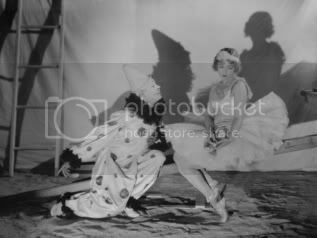 But, beforehand, using a clown's natural gesture, an exercise that usually brought the house down, he took a wicked delight in giving a good kick in the Count's pants. A very well aimed kick which hit him just above the coat-tails. And Cassatti couldn't guess where it came from because Tito was just beside him on the same line. When the Count turned around, furious, to punish the person who behaved in such a bold and disrespectful way, he found nobody. Tito and Bianca had already disappeared and one could here the public laughing. The Count wondered if he was going back to his seat. He hesitated, tight-lipped, chewing his moustache as he usually did when things didn't turn out the way he wanted them. If you had met him for the first time there, you would never have guessed he was in a bad temper. An unusual character this Count Cassatti, his composure as dangerous as his anger; he never let go anything he wanted. He probably had some dangerous memories that one shouldn't try to uncover. Where did he come from? Who was he? Nobody seemed to know around him, or either preferred to stay silent rather than having to cope with his ill-temper. In the end, he decided not to return to his box, and going outside, now that the corridor was empty or nearly as he met only a few ordinary grooms with their canvas bucket and broom. He came out slowly through the private door reserved to the artists. - If I come back to the circus after this adventure, I'll be ridiculous. He stopped one moment in front of the hotel doorstep, thinking about some new battle plans. After that, he entered the hotel lobby. The manager, who chatted with the concierge, stopped his conversation and went to this client for whom everybody in this palatial hotel showed so much regards. - I couldn't find a new suite for you, my Lord, said he, but, be reassured, my Lord, that we cleaned up the suite so that no trace of this sad adventure is left. We change the bed's position. The view is absolutely superb. - I really don't care, said he, can you call the lift attendant? - By the way, the police superintendent finished his inquiry on the…small evening incident. Everything complies with My Lord's account. I managed to obtain complete silence in tomorrow morning's newspaper as well as the others. The Count shook his head as if he didn't care one way or the other. But, when the lift started to go up, he couldn't avoid a small smile on his lips as he tasted for the first time all the funny side of the situation. I've caught up with the story and I'm super-amused by it!